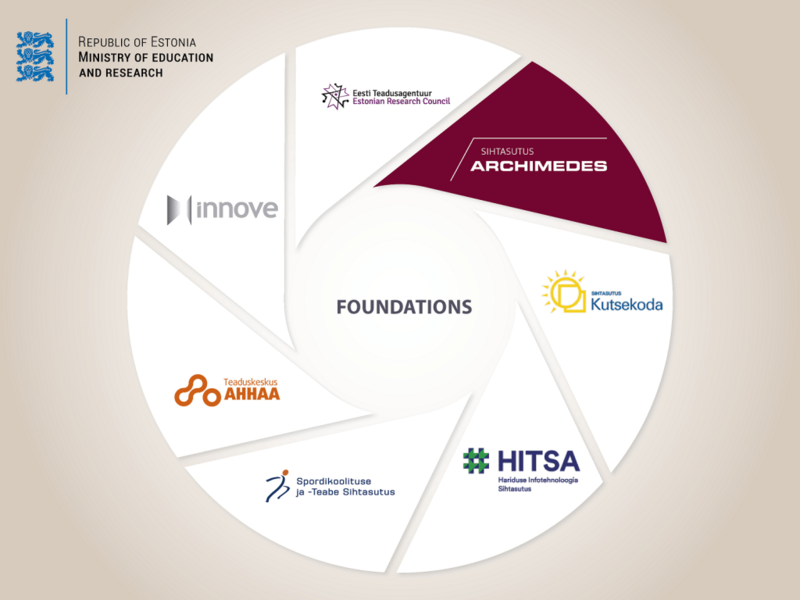 Archimedes Foundation is an independent body established by the Estonian government with the objective to coordinate and implement different international and national programmes and projects in the field of training, education and research. The Ministry of Education and Research is responsible for the planning of education, research, youth and language related national policies and, in conjunction thereof, managing the fields of pre-primary, basic, general upper secondary, vocational secondary, higher, hobby and adult education, organising research and development activities, youth work and special youth work, and compiling drafts of corresponding legal acts. One of the foundations in the area of the Ministry of Education and Research is Archimedes Foundation. 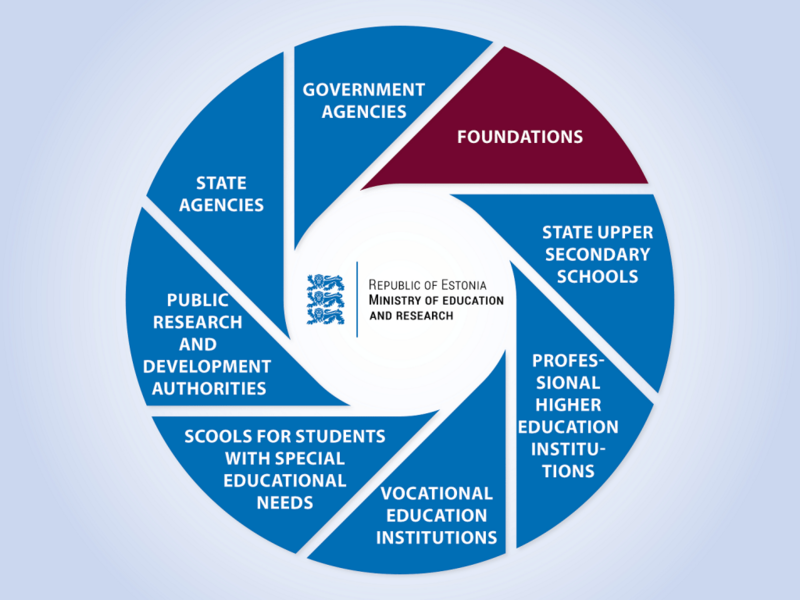 Archimedes Foundation was established by the Estonian Government in 1997 to operate in the area of government of the Ministry of Education and Research. Besides Archimedes Foundation there are many other foundations that are competence centers in their respective field in Estonia.